In half a decade, the San Francisco-based investor has become one of the largest landlords in the Town, fueling the debate over gentrification and displacement. 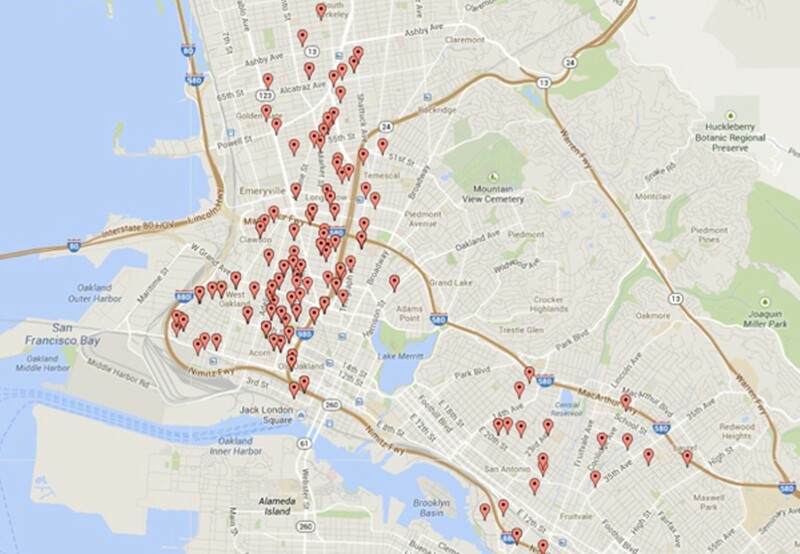 Sullivan's company now owns at least 270 parcels, nearly all of which are in West Oakland. During the past half-decade, large investors have bought up numerous foreclosed homes in West and East Oakland and have turned them into rental properties that many longtime residents cannot afford. But few landlords own as much property in Oakland as Neill Sullivan, founder of the Sullivan Management Company. In fact, according to Alameda County public records, the Sullivan Management Company currently owns hundreds of homes in the city — nearly all of which are in West Oakland. Sullivan began to assemble his extensive portfolio of property holdings in Oakland in 2008 when he pounced on a once-in-a-century opportunity — made possible by the foreclosure crisis — to buy up houses in West Oakland for half price. But while Sullivan's activities have attracted media attention, including from the Wall Street Journal, important details about his business haven't been reported. For example, where did Sullivan's money come from, and exactly many homes does he now own in the city? The ultimate impact of big real estate investors on Oakland, especially when it comes to housing affordability, is also an open question. Sullivan and other landlords claim their investments are good for the city because they have reduced blight and expanded the stock of rental housing. Critics, however, believe Sullivan and similar landlords are profiting off the misfortune of others, gentrifying historically African-American and Latino neighborhoods and displacing low-income residents, while turning profits for their wealthy investors, most of whom live outside of Oakland. According to securities filings, Sullivan convinced a network of San Francisco hedge fund investors in 2008 to give him approximately $23 million to buy up foreclosed, bank-owned properties in Oakland. "There were tons of these beautiful old Victorian homes that needed investment, but banks could only sell to cash buyers in 2008, 2009, and 2010 — that was the opportunity," said Jon Wright, a spokesperson for the Sullivan Management Company. After six more rounds of fundraising between 2010 and 2012, Sullivan had as much as $70 million in capital (the exact amount he has raised is hard to ascertain) to buy Oakland real estate. He was cash rich at the bottom of the real estate market. And the scale of Sullivan's housing play in Oakland, previously unreported, is staggering. Wright declined to disclose how much capital Sullivan has invested and what the profits have been so far. He also declined to identify the investors who have pooled money into the three LLCs set up by Sullivan to purchase Oakland real estate — REO Homes, REO Homes 2 LLC, and REO Homes 3 LLC. But public records provide some clues. 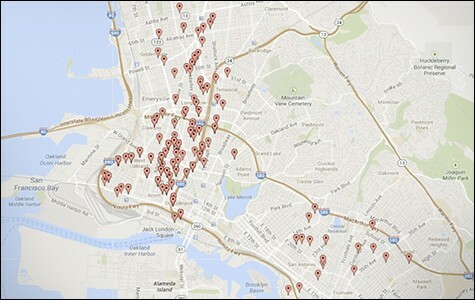 According to the Alameda County Assessor's Office, Sullivan's companies own approximately 270 parcels of real estate in Oakland. Sullivan bought these properties for an average price of $154,000, about 50 percent below the average price paid by previous owners, $322,000. Assuming these properties have regained their full value since the crash of 2008, it would mean that Sullivan bought $89 million worth of Oakland real estate for about $41 million. The recent real estate boom, as a result, has probably netted Sullivan and his investors a pre-tax capital gain of $24 million, after subtracting expenses. Sullivan has earned even more from rental income on the properties. In a widely cited June 2012 report, the nonprofit organization Urban Strategies Council identified Sullivan's REO Homes as the second largest foreclosure investor in Oakland. "The spike in non-local ownership and non-owner occupied housing presents concerns related to the extraction of wealth from low-income neighborhoods, in addition to ongoing property maintenance and management issues," wrote Steve King, author of the report. "REO Homes LLC has been able to infiltrate a community beset by a crisis and cobble together a sizeable fiefdom." "Our concerns remain the same," King said in a recent email. Wright said that Sullivan typically spent about 50 percent of the property's purchase price on rehabilitation, a necessity for West Oakland homes, many of which were built more than one hundred years ago. Sullivan's team has also paid for tree plantings and trash pickup in the neighborhood to beautify the area. "It helps the entire neighborhood," Wright said. "Sometimes the difference between a street in Berkeley versus a street in Oakland is that they're lined with trees." The tens of millions of dollars that Sullivan raised to buy up these houses came from a wealthy network of hedge fund investors. A securities filing from September 2008 listed Thomas Steyer, Rajiv Patel, William Duhamel, and Ryan Schaper as investors in Sullivan's three funds. Steyer is the founder of Farallon Capital Management, a San Francisco hedge fund, from which he amassed a personal fortune worth $1.5 billion. Steyer retired from Farallon in 2012 and has since become a well-known philanthropist, funding environmental and social justice campaigns, including a well-coordinated attack against the Keystone XL Pipeline. Duhamel and Schaper are also Farallon alumni. Duhamel now runs a hedge fund called Route One Investments. Schaper runs Point Lobos Capital, yet another hedge fund. Patel is a current managing member of Farallon, but the hedge fund is not an investor in Sullivan's company. Another investor behind Sullivan is Alastair MacTaggart, president of The Emerald Fund, a major real estate development company in San Francisco. Emerald Fund has existing investments in Oakland, including the Ellington and Essex luxury apartment and condo buildings located downtown. The other sources of financing used by Sullivan to acquire Oakland real estate are loans from the First Republic Bank and One PacificCoast Bank, the latter of which was founded by Steyer and his wife Kat Taylor in 2007. Steyer is on the board of directors of One PacificCoast Bank and the foundation of the same name, which owns the bank's stock. One PacificCoast Bank's website states that "the Bank is mandated to produce meaningful social justice and environmental benefits at the same time that it is financially sustainable." According to the Alameda County Recorder's Office, One PacificCoast Bank has provided seventeen loans to REO Homes LLC, one of the Sullivan-controlled funds in which Steyer is an investor. The loans together add up to $1.3 million. Steyer's investment in Sullivan's REO Homes fund, and his bank's loans to REO Homes are instances of insider loans — as defined by the federal government's main watchdog of banks, the Office of the Comptroller of the Currency. Approval of bank loans to companies owned partly by bank directors are transactions subject to complex regulations. Jann Wallach, the senior vice president for compliance at One PacificCoast Bank, wrote in an email that the bank is in compliance with federal rules regarding loans to insiders. The other bank that has lent Sullivan funds to purchase foreclosures in West Oakland presents another interesting connection in the world of high finance. On First Republic Bank's board of directors is Thomas Barrack, Jr., the billionaire private equity mogul who owns Colony Capital and Colony American Homes, the company I profiled recently in an Express investigation of other foreclosure investors (see "The Rise of the New Landlords," February 12). Barrack's Colony Capital owns shares of First Republic Bank's stock, and therefore indirectly owns the loans made to Sullivan's company. "Neill Sullivan, REO Homes, Waypoint, Blackstone, McKinley — you have a ton of big investors that are taking advantage of the situation," said Robbie Clark, the Housing Rights Campaign Lead Organizer at Causa Justa/Just Cause, a tenants' rights group. "They have cash in hand and are buying up properties at discounted rates, and renting them out. It's not a buyers market because they've cornered buying them in these areas, and consumers can't access credit. "Foreclosures were concentrated in West Oakland, and heavy displacement of residents as they lost their houses made it really ripe for speculation," Clark added. He believes that investors like Sullivan will further drive up rents in West Oakland and gentrify the area at the expense of the existing community. Others Oakland activists are skeptical about the Sullivan Management Company's claims of improving neighborhoods. "I've heard REO Homes and their type crow conspicuously about planting a tree or two and claim civic improvement," said Brooke Terpstra, a community organizer and 25-year Oakland resident. "But if the new residents they are courting demanded that trees be chopped down, REO would be firing up the chainsaws. "A cruel irony is that many of the foreclosures that REO Homes has feasted on were triggered by the previous owners taking out loans to maintain or improve their property," added Terpstra. Sullivan Management also doesn't have a good record as a landlord, activists say. "Tenants of Sullivan Management have complained of bad management practices, mold problems, carbon monoxide leaks, and other serious repair issues, as well as inconsistent response when tenants called with problems," said Claire Haas, a staff organizer with the social justice nonprofit Alliance of Californians for Community Empowerment (ACCE). "We found that Sullivan Management is charging rents that are two to three times as much as rents were a few years ago in the same neighborhoods, and that most of his tenants have moved in from San Francisco." Wright of the Sullivan Management Company disagrees and has clearly been trying to build bridges with the community. Sullivan developed a "community" link on the company's website showcasing a mural project, and a diabetes and sports health day camp they're helping sponsor for West Oakland Youth. But Shirley Burnell, an ACCE member and lifelong West Oakland resident, is skeptical of charity, and said anything other than affordable housing is a ruse. "If these speculators and their investors want to truly help preserve the diversity and make up of our communities then they would agree to participate in programs or proposals that would rent or sell homes back to displaced residents at affordable levels who were displaced by the foreclosure and economic crisis." Burnell and others say that trash hauling, tree planting and other contributions are shallow gimmicks that don't really benefit the neighborhood. Clarification: This story has been clarified to note that Thomas Steyer’s investment in Neill Sullivan’s REO Homes fund coupled with the loans by Steyer's One Pacific Coast Bank to REO Homes can be more specifically described as insider loans. After gobbling up foreclosed homes in Oakland and other communities, wealthy corporate investors are now creating what Wall Street calls the "rentership society."